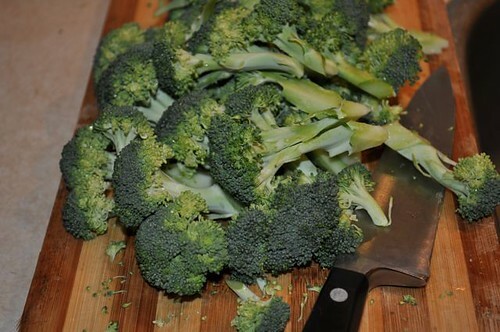 No need to mess with broccoli. 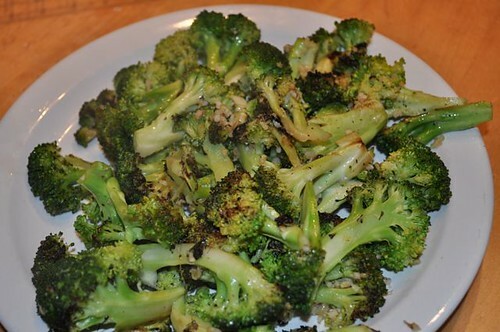 Here’s how it works – you got broccoli, you got garlic, you got olive oil, you got salt and you got heat. And by the way, the heat is the most important ingredient. Medium-high, slightly closer to high is where the magic happens as the photos below will attest. 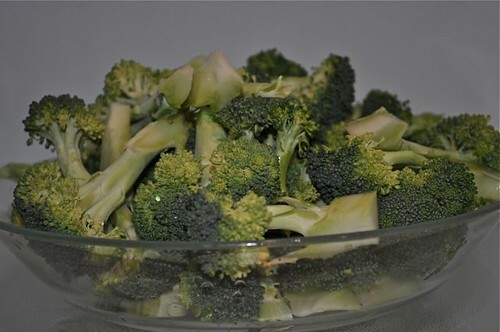 Aside from packing a bigger punch in the vitamin C department than an orange, broccoli is also fodder for a little humour as a little buddy of my 9 year old pointed out upon learning of my love affair with broccoli … What is the difference between boogers and broccoli? Kids don’t eat broccoli. (Kids, don’t you just love ’em!) And to that, I found that poor little boy’s mother, let her in on the little secret that is this method, assuring her that her little boy would soon prefer broccoli! So grab yourself a bunch, turn up the heat and you too can have a little boy (or a big boy, for that matter) who would go for a plate of broccoli over his pinky! 1. 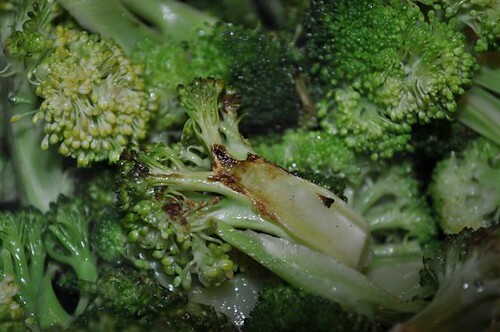 Prep the broccoli into bite size pieces. 2. Rinse and nuke it for a minute, literally. 3. 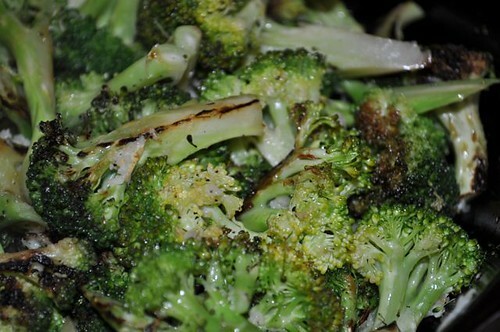 Drizzle olive oil a couple of times around a pan on highish heat and add the broccoli. 4. See the magic, there it is. 5. 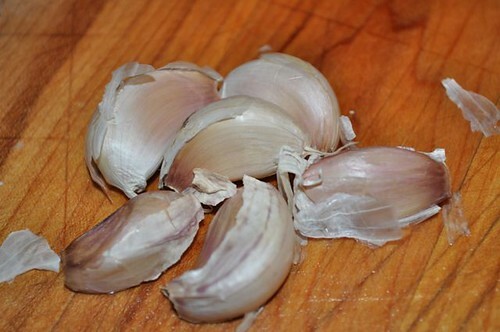 Prep the garlic, as in peel and fire it through a press, or finely chop it with a knife. 6. Mince it directly into the pan (less cleanup that way) and give it a good sprinkle from the salt shaker. 8. Pull it off the heat and serve or add it to pasta, rice, salad – it’s delicious mixed in anywhere. 2. 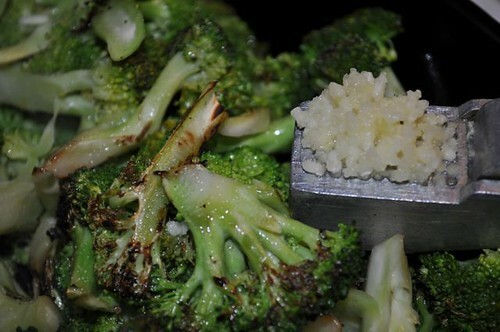 Put the broccoli in a glass dish and microwave for 1 minute. 5. 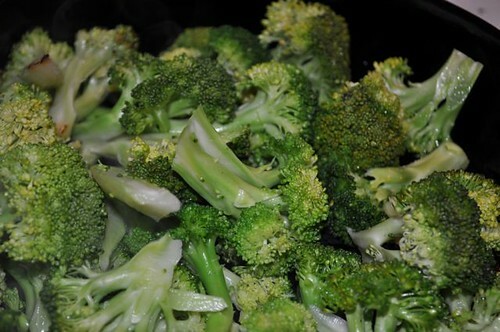 Stir-fry over medium-high heat until the broccoli begins to brown.